The other day I was at the park with my two-year-old. There was another mom there with her baby boy on the swing. We got to talking as moms do, and the common first questions started. She asked how many kids I have and I told her three. Then I asked her. She said just this little guy. She was so sweet and in her 40’s, being a new mom for the very first time. She, of course, had many many years of being a career woman. She was a CPA and real estate agent. Both of those are extremely busy and non-stop careers. She is now a stay at home mom with a very busy almost two-year-old. What she said next was what ALL stay at home moms love to hear. 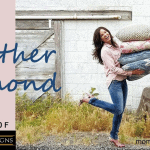 She said, “Being a stay at home full-time mom is way harder than my previous jobs.” She said that even in her busiest times of tax season, she could still eventually go home and totally relax. She said, “I’m working 24/7 and even in the middle of the night.” I never get breaks, and I don’t even get sick days.” Oh, I got a good laugh and a dose of mommy validation. It was so great to hear a new mom with a previous twenty plus year career tell me she has never worked this hard. Love it. I love to be positive! I actually had a compliment paid to me the other day that meant sooo much. I was told, “I love how you are so positive and always look for the positive in things.” That really meant a lot. While I love to laugh and try to stay positive, there are still so many things that can drive you crazy right? You really see and hear it all. 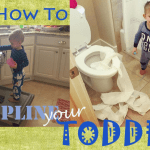 Disciplining your toddler is a hard but necessary task. Taking family pictures is the worst. With my experience at the park being so validating, it isn’t always that positive when others ask, “Do you work?” So, here is a funny list of what makes a mom crazy. Have a good laugh and I’m sure you can relate to these and even add to it. Do you have a real job too? Or do you work? Or are you JUST a mom? Always a good one when you get asked this. Like raising kids, being a personal assistant to multiple clients, taxi driver, wet nurse, doctor, nurse, therapist, chef, business accountant, maid, craft guru, and so much more called MOM isn’t enough of a job. LOL but we get it. It’s a common question that comes with our job. You only have 2 kids? Just 2? Or the opposite… Are all of these kids YOURS? Looks like you’re running a preschool. Of course, what all moms deal with… when your kids are interrupting you when your talking to someone else. MOM, MOM, MOM, MOM? All the while shaking your arm. It can make the most patient mom hit the roof. Or the most common we all deal with. When your kids say “I can’t find my shoes. Do you know where they are?” Ahh…. Late again it is!!! Those are my five, and as I’m sure you know it’s more than just questions. Like that time you’re trying to get out the door and actually thought you might be on time but a diaper blow out had something else to think about it. I love comedians that talk on these in their stand up. I just laugh and laugh! Or when you get together with your girlfriends and share your crazy stories and crack up. 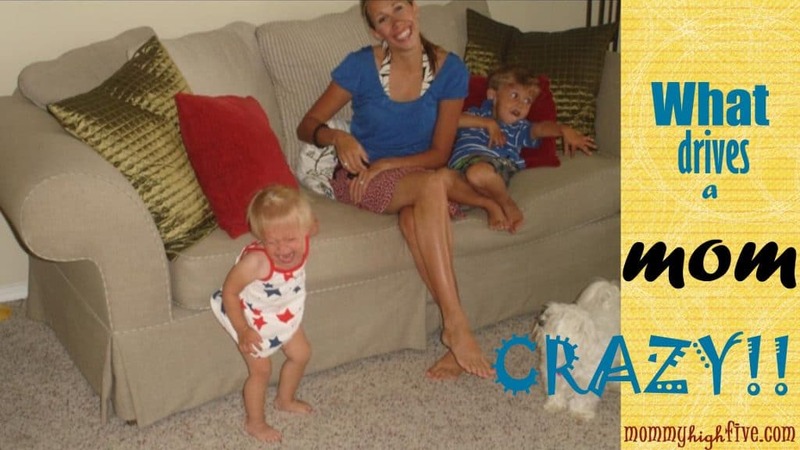 Oh, it’s so much fun to laugh and compare and our hazards of the job we all call motherhood!! Hang in there mamas! We’re really all in this together! I’d love to know which questions drives you the craziest. Help me add to this list by commenting below.